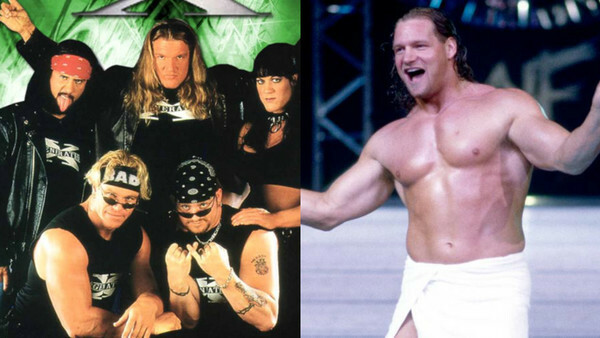 Was Val Venis almost in DX? The beauty of pro wrestling today is that there are more podcasts and interviews than ever before. Due to the volume of stuff out there, it's only a matter of time before wrestlers start revealing facts fans didn't know about previously. Little tidbits about the likes of Jerry 'The King' Lawler, Bill Goldberg, Johnny Mundo and Ryback are included here, but that's not all. There's also a hilarious story about an aborted storyline for Christian well over a decade ago, one which would've seen the ex-tag star mimicking WWE's greatest. Victoria is often one of the most criminally underlooked female performers in WWE history. Sure, she may have started out as one of The Godfather's 'Ho Train', but she went on to become a company veteran who even later trained Charlotte Flair. None of this would have happened had she not dipped into her own pocket. After being spotted by Chyna at a gym she worked in, Victoria told the Baby Huey & Bimbo Jimbo Show that she forked over at least $600 to make her own tryout video for the WWF. Feeling that wrestlers would surely put forth the same effort as actors and actresses in Hollywood, the future Women's Champ didn't want to disappoint. Later, Jim Ross and Kevin Kelly told her that the video was one of the most well-produced they'd ever laid eyes on. More accustomed to receiving thousands of promos filmed outside someone's house or in their bedroom, the WWF officials were taken by Victoria's presentation.